Fitting well with the simplicity of the story is the gameplay, which is equally streamlined and polished to a finely formed point. If you’ve played Diablo or Dungeon Siege it’ll be immediately familiar to you, even though the graphics hint more at Warcraft than Diablo. There are three classes – Destroyer, Alchemist and Vanquisher – and each conforms to a familiar archetype, Warrior, Wizard, Rogue respectively. The Destroyer favour melee combat and has skills that allow powerful single attacks based on his ancestral spirits, the Alchemist specialises in summoning minions and elemental attacks and the Vanquisher sits at the back with a bow or rifle. Importantly, Torchlight doesn’t restrict your gaming options too much based on your class though and item requirements are based mainly on your stats rather than your profession. The Destroyer can still specialise in firearms if he wants, for example, though the skill tree doesn’t complement it as well as the Vanquisher’s. The skills themselves are unlocked progressively through one of three skill trees that form sub-classes for each class, just like in Diablo. Again, you can pick and choose different skills from whichever path you choose, but eventually it’s best to specialise if you want to unlock the best attacks. Rounding out your core abilities is the addition of a pet that you can bring with you through the quest and steadily improve by feeding it different treats and fish. Your pet, which you can name whatever you want (ours was called Guybrush), starts off as either a wolf or cheetah, but can transformed into a more powerful ally as you progress. 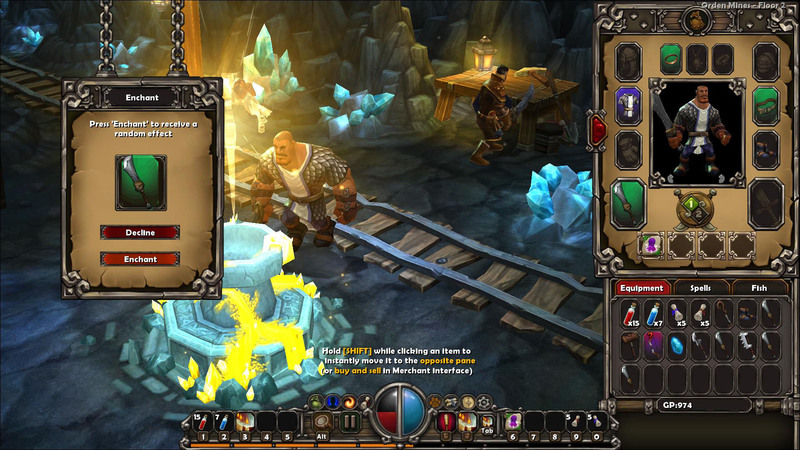 Torchlight’s core mechanic though is simply that the majority of the game is procedurally generated, from loot drops to environments. Cleverly though, the locations are actually randomly put together based on hand-crafted modules that can fit together, so the game never feels as empty and lacking in flavour as other random games. 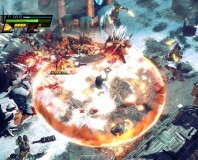 The loot is fully randomised in its placement and variety too, though there are some specifically created Unique Weapons thrown into the mix as well and it’s this which seems to pull you through the game for the most part. What keeps you playing isn’t the need to conquer the next boss or unlock the last skill or hit the level cap – it’s the knowledge that the next sword you pick up could be something Really Special. Among the +2 Fire Damage and -1 To Armour On Hits there could be something amazing. You’ll never know unless you identify everything and scour every hidden room. The beauty of Torchlight is that there isn’t really much more to it than that simple addiction and that all the chaff which would usually get in the way of that need to grab every loot drop has been swept away with a simple flourish. 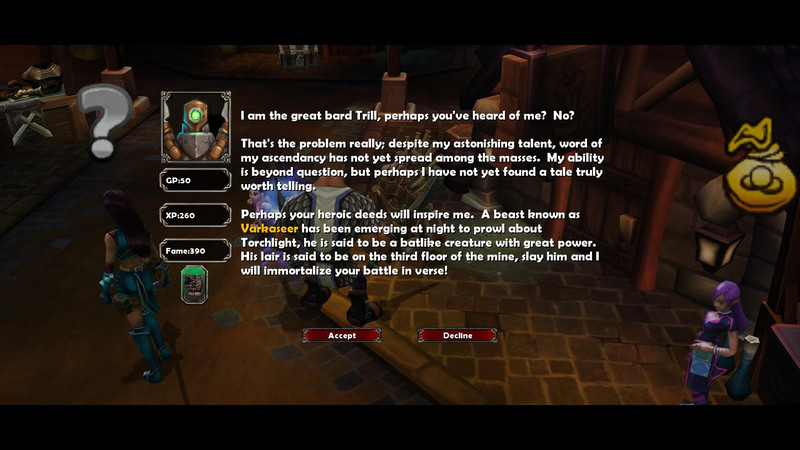 Torchlight is mechanical gameplay as it’s mostly distilled and pure. There are faults obviously, the biggest of which is the lack of any co-op or multiplayer option, but there are extra tweaks that give it an edge too – the random waves of spiders and enemies that crawl out of the walls and the simplicity of the interface. The most important boon that Torchlight has over Diablo though is simply the graphics; they aren’t brown, dull and gritty in the most immature interpretation of the word. 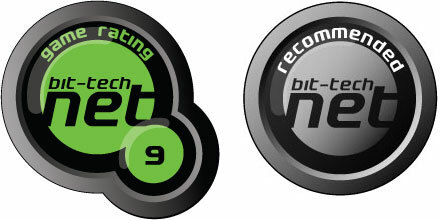 They are fresh, colourful and fitting with the simple joy the game provides, with a carefully chosen palette and array of settings which means the game can even run on most netbooks. In a world where every other game uses quote-unquote realistic aesthetics, Torchlight stands out as something fresh and inviting. 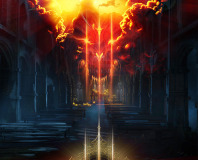 It may lack multiplayer and complexity, but it’s still something special that any Diablo fan should consider graduating to in lieu of Diablo 3 – especially considering the open-source mod tools that have been made available. This action-RPG sequel is cursed by poor design decisions and a dire script. Blizzard has started recruiting PS3 specialists for Diablo 3. 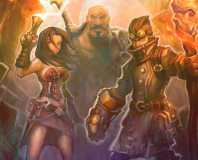 Runic Games has announced that Torchlight 2 has been delayed because of consoles.